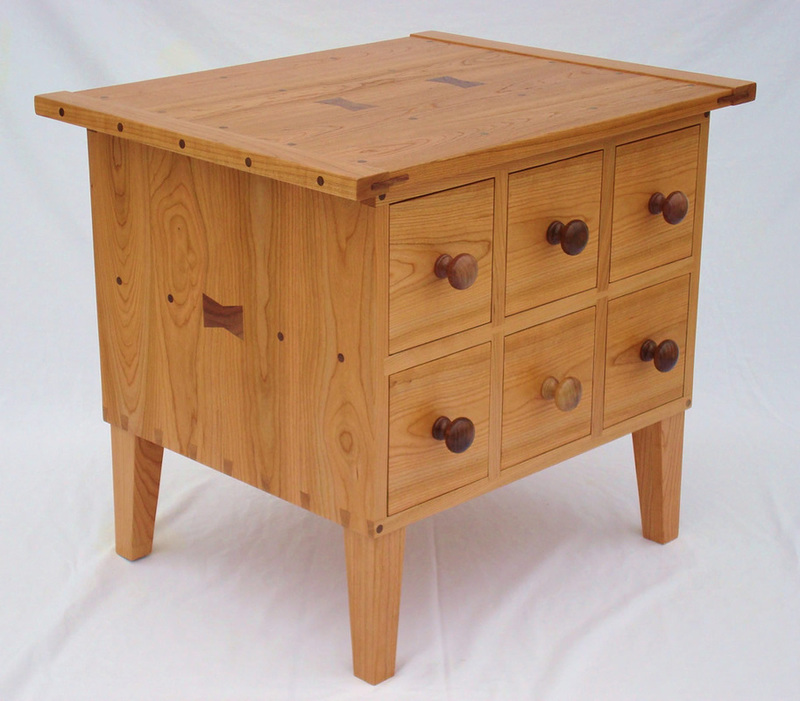 This custom designed cherry end table is based on a design brought to me by my customer. We discussed different options and made some changes. The table was built in the design of an apothecary cabinet, with drawers sized to store about 40 CDs each. 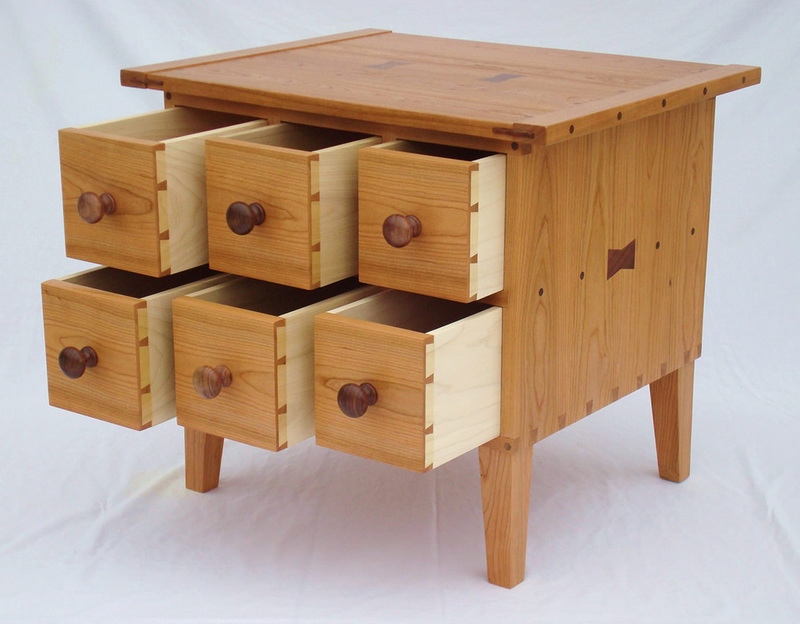 The table is built of all solid lumber with hand cut dovetails in the case and drawers. 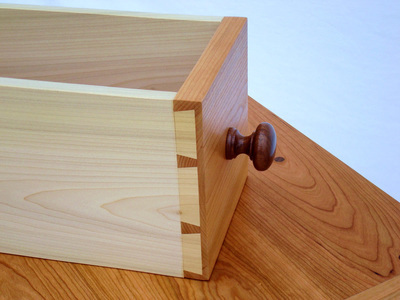 The primary wood is cherry with walnut accents and pulls. The secondary wood is poplar with solid aromatic cedar drawer bottoms. Each drawer is hand fit. Walnut splines decorate the breadboard top. The piece is finished with a hand rubbed oil polyurethane for beauty and maximum protection. The drawers and inside of the case are finished with high quality paste wax to ensure years of trouble-free use. If you are interested in this piece or something like it, feel free to contact me, and I would be happy to give you a price quote and discuss the many options available. "Well we made it back to Indiana in one piece and so did the CD apothecary table. We have it placed in the family room, loaded with all my CD's (with room to expand) and it looks absolutely fantastic. 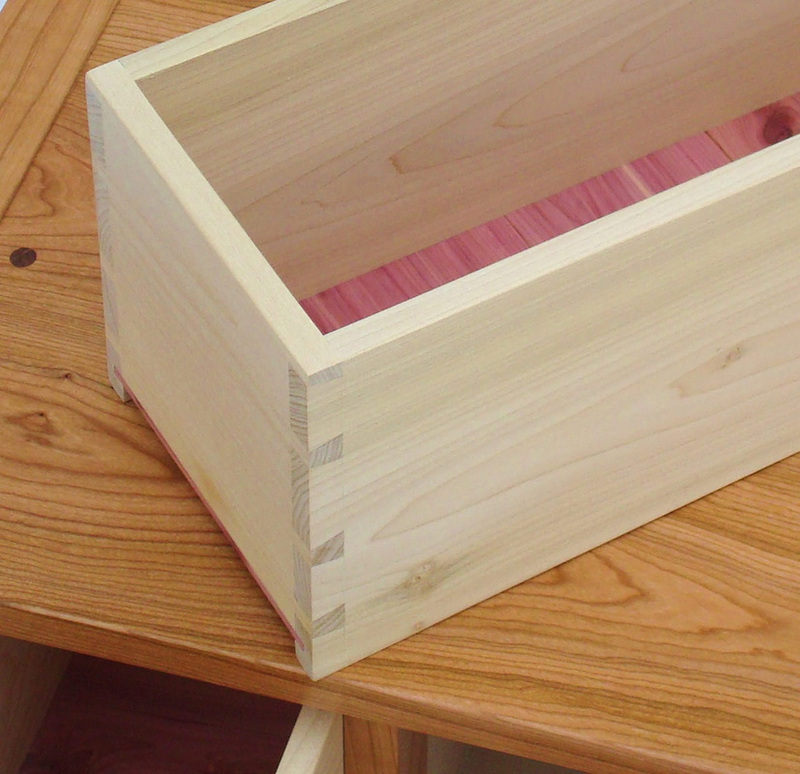 The drawers are a perfect fit and work smooth as silk. After admiring it for a week I cannot think of one thing I would change. My wife says it is perfect. construction is outstanding. You managed to exceed my expectations and I can tell you that is not an easy thing to do. Aaron you are more than welcome to use me as a reference any time. I believe anyone commissioning a piece from you would be thrilled with the result. Again, thanks for all you have done. I am sure we will be working together again sometime in the future."